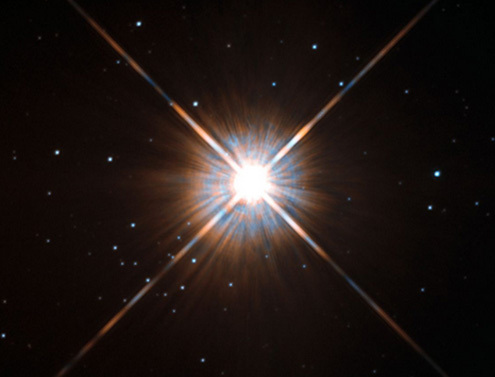 Earth-like planet orbiting Proxima Centauri? A recent study from the Department of Physics and Astronomy from San Francisco State University announced that the list of Kepler exoplanets, some 20 of them have the potential to be a “second Earth”, which means that there is a chance to develop life on their surface. Now, a report from the German media Der Spiegel, citing anonymous sources, said that European astronomers have found a new planet similar to Earth and in our vicinity – still unnamed planet orbiting Proxima Centauri, the nearest star to our solar system, in the zone where the water on the planet could retain liquid and not evaporate or freeze. Otherwise, Proxima Centauri is part of the Alpha Centauri system, which is located at a distance of 4.35 light years from our solar system. Der Spiegel did not publish more details about this discovery, except that the European Southern Observatory (ESO) will announce its findings at the end of this month. For now, a spokesman for ESO has neither confirmed nor denied these claims.